Hope you have all had a good weekend?! I am kicking off this week with a travel post! I know a few of my friends are planning a trip to Asia this summer and will more than likely be passing by Bangkok. 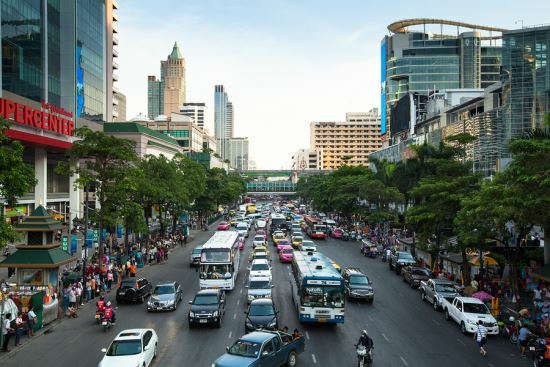 Sukhumvit Road, is the longest road in Thailand, and there is "lots" happening on this busy street, It is buzzing from morning to night, non stop! When I visited, I stayed on Suckhumvit road and found it to be "such" a convenient location, you have everything there from street food, restaurants, café's, market's, shopping malls's, bars and clubs. Something for everyone all within walking distance, or, if your feet cant carry you any further, just jump in to a Tuk tuk. I was taking Tuk tuk's everywhere, loved it! You discover lots of little markets around Bangkok. Due to limited time there, I only managed to pass by a couple with one of them being Sukhumvit night market, as that was suitably situated next to my hotel! There I found all sorts, from clothes, fake goods, DVD's, luggage...you name it, they had it! There is no way you could miss the Temples in Bangkok! Everywhere you go, you can see the gold roof tops glistening in the sun. I visited Wat Pho, which is one of the largest and oldest Temples in Bangkok, you will find over "1000" images of the Buddha here! I tried to cover most of the Temples grounds. It felt like every turn you took, there was always an opening leading you in to another courtyard. Tip- When visiting a Temple, always remember to wear long skirt or trousers and if you happen to be wearing a sleeveless top, carry a scarf with you in case you need to cover your arms. Keep a bottle of water on you too, as it can get extremely hot walking around the grounds. When I visited Bangkok, aside from the Temples the Floating Market is what I "really" wanted to experience. We (hubby and I) hired a driver for the day to bring us there and back. Initially we were told, it would only take 30 minutes to get there...."lies" with traffic it took us a little over an hour from Sukhumvit road, so be prepared!! On our boat ride along the river side, we came across all types of stalls selling souvenirs, spices, herbs and plants. Feeling a bit peckish, have some Tom Yam! Pick up your 5 a day! The "BEST" coconut ice cream I have "EVER" tried! If you LOVE yourself coconut and LOVE yourself ice cream, then you "have" to try this ice cream!! Hands down, best ice cream I have ever had! A friend of our's had recommended we visit Asiatiqe. 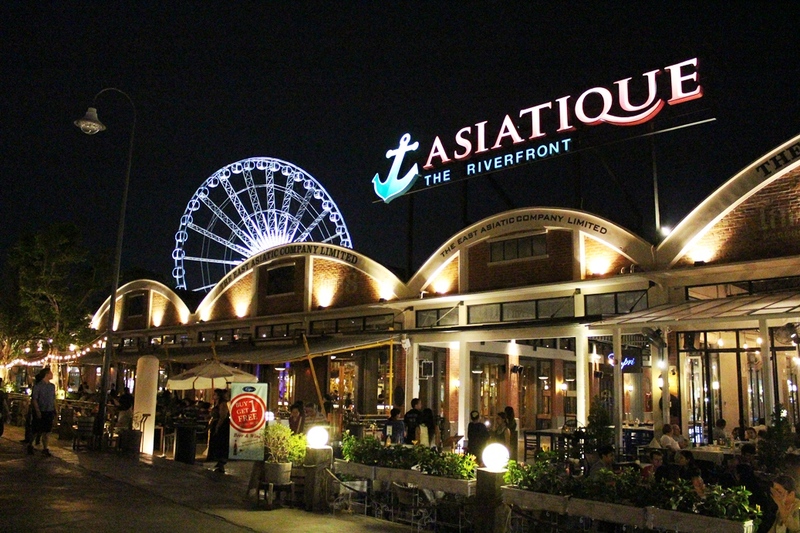 It is described as an open air mall, where you have restaurants, bars, a night market, shops and a large Ferris wheel! We took the free boat service from Saphan Taskin BTS, which takes roughly about 10mins. I am not one for heights, but I sucked it up that day (trying to overcome my fears) and the view's are pretty amazing! It just adds that little extra to your evening. 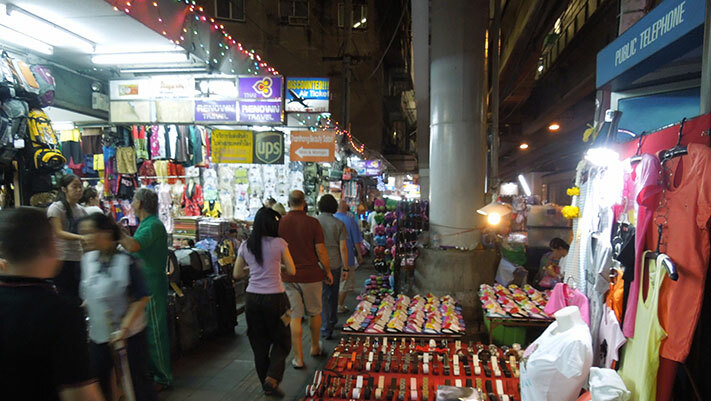 There are lots of shops and market stalls, you are lucky if you get to see all of them in one night! I had to share this one with you;). We "really" enjoyed the grilled chicken from this place!! Last but not least, I finish this post with the famous Labua Hotel- Sky bar. Here, is where you "really" get to see some awesome views of the city. 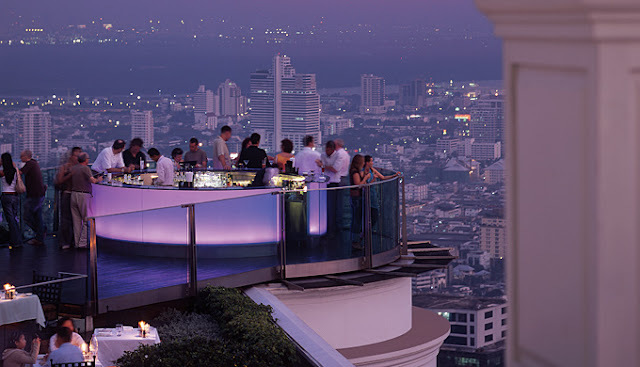 Sky Bar, is one of the highest roof top bar's in the world and was one of the locations used to film Hangover 2! So me, being a HUGE Hangover fan I was over the moon (nearly) to come here! Cheesy and not so clear pic of Moi! Tip: Try to get there before the sun sets! Sorry if you found this post a bit longer than usual. I tried to cut it down as much I could:). 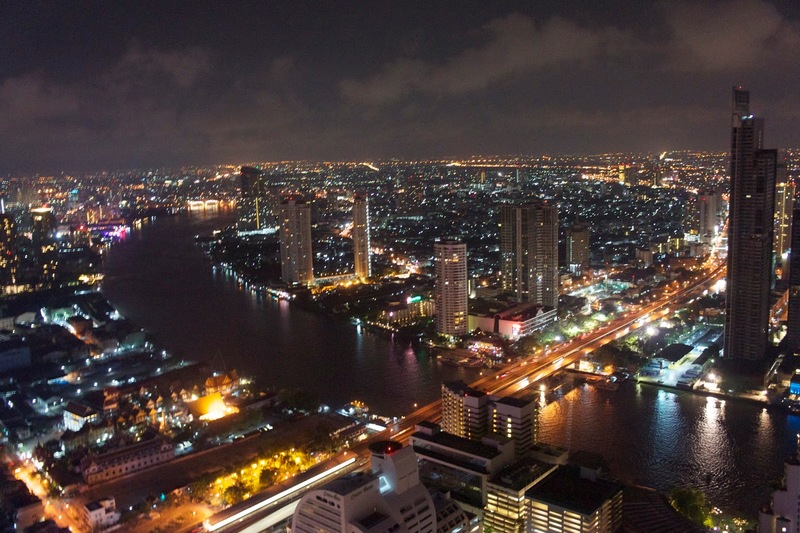 Will you be visiting Bangkok this year? Have you been before and maybe have other recommendations on where to visit? would love to hear from you! I'm planning to go to Bangkok soon so this is useful for me! The architecture (and food) looks amazing.